Luke Lusted currently serves as Pastor of Worship and Music at Camelback Bible Church in Paradise Valley, AZ. He is also a professional chorister singing with groups such as the Grammy Award-winning Phoenix Chorale and the Grammy-nominated True Concord Voices and Orchestra. Luke holds the Doctor of Musical Arts degree in Choral Conducting with a minor in Music Theory, the Master of Music in Choral Conducting, both from the University of Arizona, and the Bachelor of Music Education degree with a concentration in Vocal Music from Louisiana Tech University. While living in Tucson, Luke was the Artistic Director of Tucson Masterworks Chorale and Assistant Director of True Concord Voices & Orchestra. Additionally, he served as Director of Music at various churches including First United Methodist Church and Ascension Lutheran Church and School where he was also the Music Instructor. 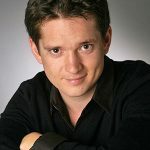 A sought after clinician and guest conductor, Luke has worked with choral ensembles in primary and secondary educational settings as well as numerous churches in Louisiana and Arizona. As an active composer and arranger, Luke has received commissions from churches, schools, and various music organizations across the country. His compositions have been for both vocal and instrumental forces and include hymn arrangements in jazz and classical styles as well as sacred and secular original works. Luke’s performance recognitions include honors recitals such as Louisiana Tech’s Presidential Honors Recital and the Robert Cheatham Honors Recital. He has also received grants and awards for his academic work including scholarships such as the Ivancovich Music Scholarship, fellowships and grants from the University of Arizona Graduate College and School of Music, and the Choral Service Award from Louisiana Tech. As an active singer, Luke has performed across the United States and Europe including England, Austria, and the Czech Republic in prestigious venues such Winchester Cathedral, St. Paul’s Cathedral, and Ely Cathedral, as well as the Wiener Musikverein, Rudolfinum’s Dvořák Hall, and Alice Tully Hall in the Lincoln Center. Luke’s primary conducting instructors include Bruce Chamberlain and Elizabeth Schauer with additional instruction from Charles Bruffy, James Jordan, and Weston Noble. He has also studied with notable composers and arrangers such as Mark Hayes, Craig Courtney, and Joseph Martin. 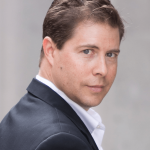 Luke is an active member in The American Bach Society, The American Choral Directors Association, and Arizona ACDA, where he previously served on the board as the R&S Chair for Community Choirs.